You do not need to be part of a royal family. When you are wearing this pair of gold knot earrings you will feel like royalty. 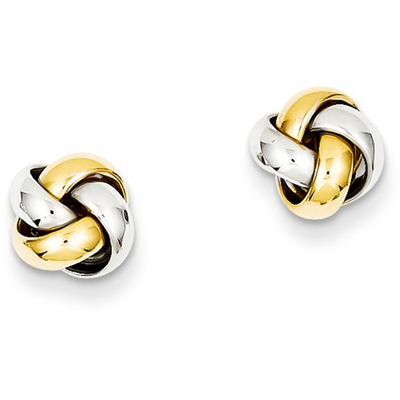 The 14 carat gold two tone earrings have a polished two tone finish to embellish the elegant gold knot design. They measure 8mm in length and 8mm in width. We guarantee our 14K Two-Tone Gold Knot Post Earrings to be high quality, authentic jewelry, as described above.